I just love mondays, because, unlike most of the world, I get to rest & relax after a really stressful, busy working weekend! Today I have prepared a make up review for you guys. 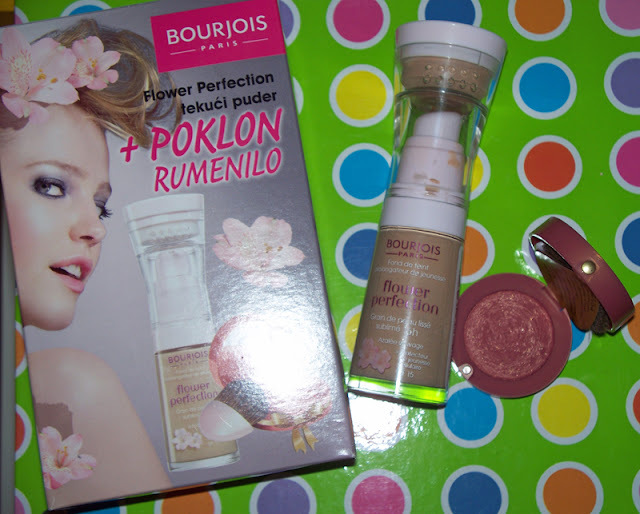 I'm actually going to be comparing & reviewing two foundations by Bourjois. In my make up "collection" I currently have the famous "Healthy Mix" foundation in #52 and recently I bought the "Flower Perfection" in #53. I'm really plesed with both of them,and even though they're very different, they do have some similarities. Both of these foundations are long lasting, Bourjois guarantees up to 16 hours long lasting effect. I can say this is true, even though I noticed the Flower Perfection being a slightly bit more long lasting than the Healthy Mix one. I can wear them for a long day at work, and, even after all these hours, they'll still look perfect on my face. With the Flower Perfection, I don't even need to touch up throughout the day, and when wearing the Healthy Mix one, it requires just a light stroke of the matifying compact powder in the middle of the afternoon hours. The Flower Perfection is also known as the "Youth Extension Foundation", it smoothes and beautifies complexion with Wild Azalea extracts, (known as the youth cell protector). It also contains SPF 15. 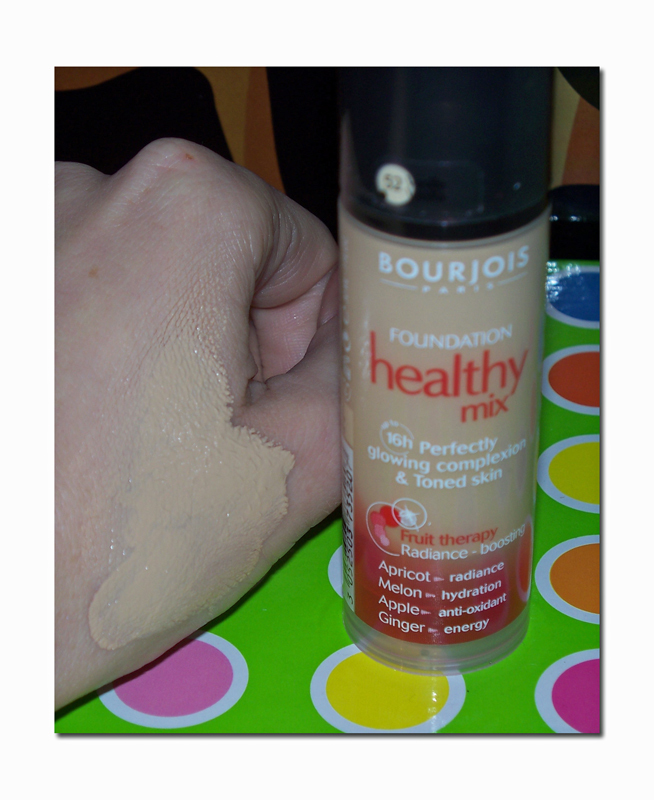 I got the Healthy Mix foundation in Croatia, at my local DM (Drogerie Markt) drugstore. 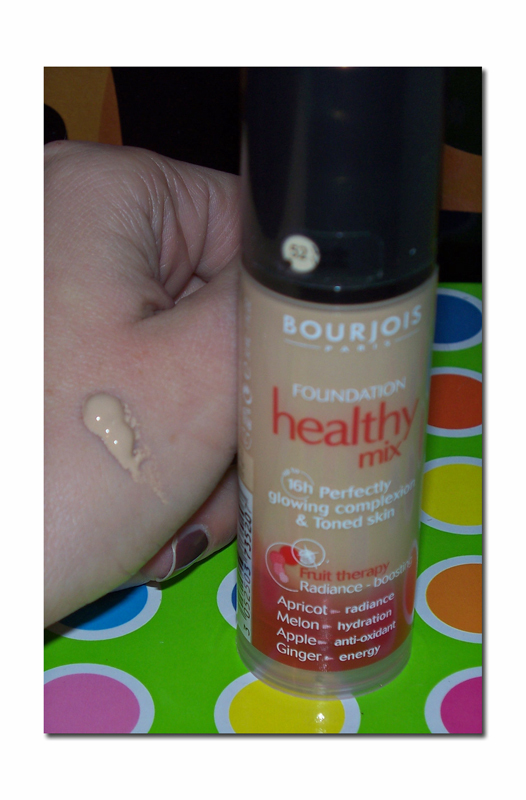 The "Healthy Mix" foundation is ideal for all skin types. It has got a semi-matte finish and good coverage. It'll immediately beautify your skin! If you find out that you do need a little bit of an extra- coverage, use your favourite concealer, on the places you need to additionally cover up. For the total matte finish, I like to apply a matifying translucent loose powder on top of it, concentrating on my "problem" areas, such as around my nose & chin. This foundation is oil-free, it won't clogg your pores and it feels really light on your skin, as if you weren't wearing any foundation! (Bare skin feeling). It hydrates your skin and it maintains it's essential hydration level. I really do recommend this one for a daily wear! I got the Flower Perfection in the shade darker than the Healthy Mix one. #53 Beige Clair swatched on my hand. I feel this shade works equally well on my skin, as the 52 one. Blended well into my skin, it matches my natural skin colour pretty good! This foundation too, I got in Croatia at my local DM drugstore. I don't know why is that so! The reason why I went for the shade darker this time, was because I bought it in this little kit, and the blush was actually a free gift with the purchase of the Flower Perfection foundation. But they didn't have the shade 52 anymore! Anyway, the deal was too good to pass on, so after carefully swatching it for more than half an hour on my hand and observing the swatch even more carefully...(lol, immagine my poor hubby going slightly mad at this point!!! 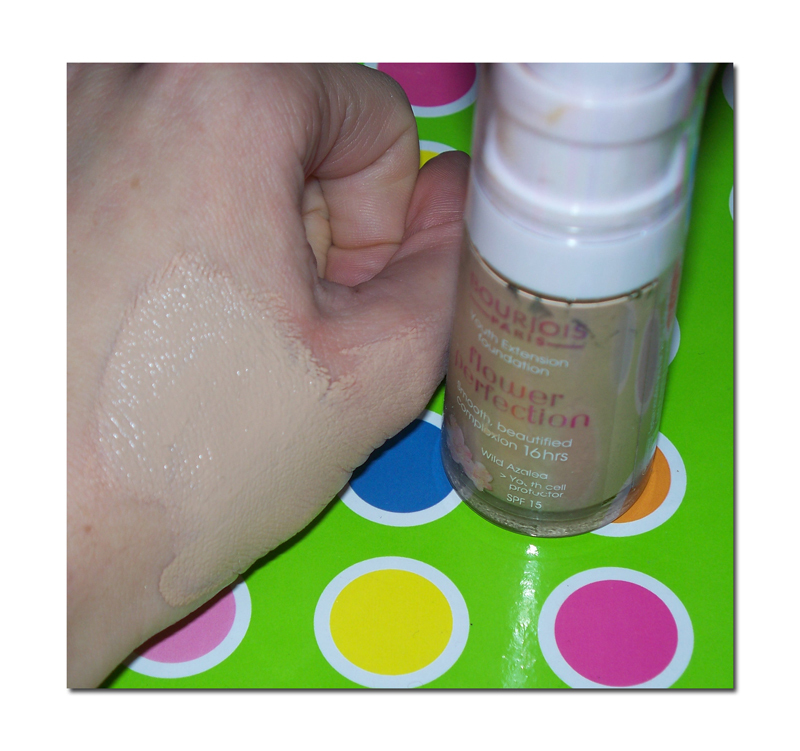 ), I've decided this shade might just work for me & decided to give it a go! 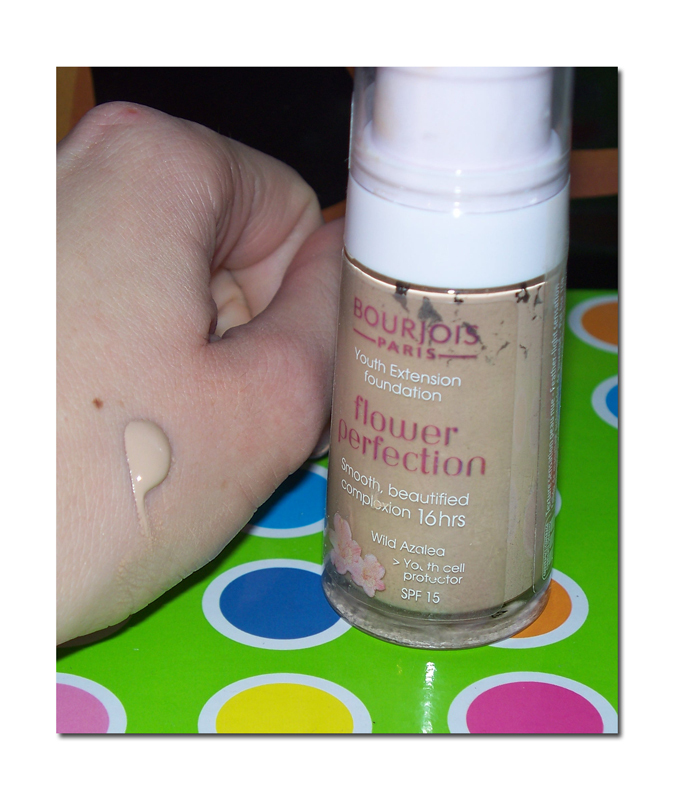 The Flower Perfection foundation will give you an immediate matte finish, and it's ideal for oily/combination skin, and problem/breakout prone skin. It covers up really well, more than the Healthy Mix one, so I like to use this one, when my skin is "acting up" and for evenings out or special occasions. It does feel "feather- light" on your face, but don't try to build it up, as then it may look cakey and just not so natural anymore! I like to apply both foundations with my Sigmax F80 Flat Top Kabuki brush. I think this pretty much completes my review on these foundations. I'm personally very pleased with both and would gladly repurchase them! They both act different, and are designed for different skin needs, so make sure to know what are you looking for in your perfect foundation & what properties should it have, before making your choice! That's all for me now, if you have any additional question on these foundations, feel free to leave me your comment! 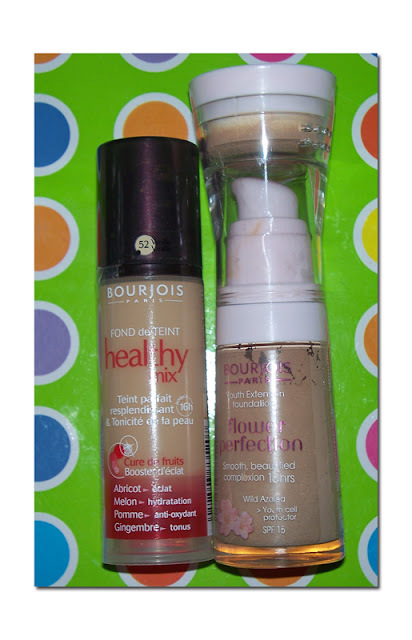 Are you familiar with Bourjois foundations? If so, which one is your favourite and why would you recommend it? CLICK HERE TO VOTE FOR ME (AT THE BOTTOM OF THE PAGE)!